Astronomers are now quite certain about the presence of a ninth planet in the solar system. Konstantin Batygin and Mike Brown, two CalTech researchers, suggest the new planet is nearly 10 times the mass of Earth and also has an atmosphere of hydrogen and helium. 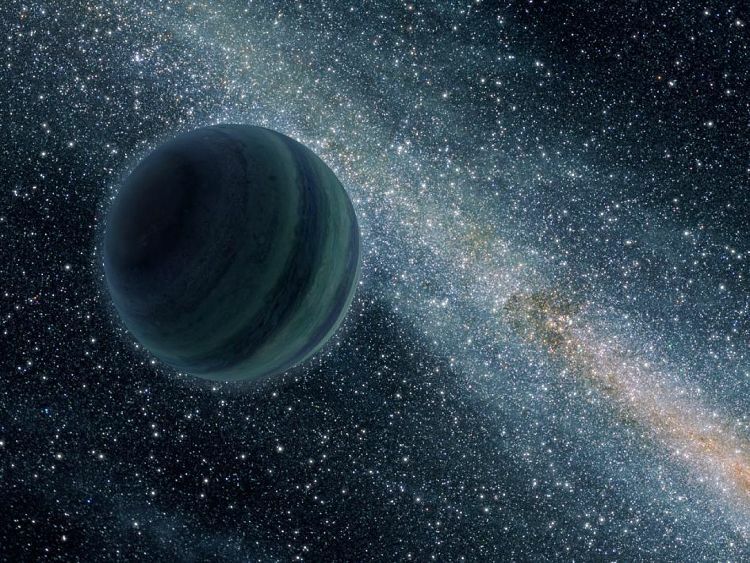 According to the Science magazine, the mysterious "Planet X" moves in quite a distant orbit beyond Neptune. The scientists haven't directly observed Planet X itself, but the evidence indicates it exists because of the exceptional formation of six objects when they come closest to the sun, according to Science. "Although we were initially quite skeptical that this planet could exist, as we continued to investigate its orbit and what it would mean for the outer solar system, we become increasingly convinced that it is out there. There is solid evidence that the solar system's planetary census is incomplete." Batygin and Brown explained their results in TheAstronomical Journal on Wednesday. The finding is also the second time that Brown has rewritten the way we think about our solar system. In 2005, he made a key discovery that directed researchers to reclassify Pluto as a dwarf planet. In a statement on Wednesday, Brown -- whose Twitter handle is @plutokiller -- suggested to the role he played in getting Pluto reclassified, mentioning that the new finding was 5,000 times the mass of Pluto and was certainly a planet. He said "All those people who are mad that Pluto is no longer a planet can be thrilled to know that there is a real planet out there still to be found,"